This is a medium-small sized waterbird with long legs and toes. Common Moorhens have brownish-black bodies with a white diagonal stripe on both sides of the body and a white patch under the tail. The bright red bill extends over the front part of the face, is short and has a yellow tip. Feet and toes are greenish yellow. There are no differences in appearance between adults though the young birds have brownish bodies and dull greenish yellow bill. It swims like a duck and walks on land, running for cover like rails or crakes. This bird is found all over the world except in Australia and in cold countries. The Common Moorhen is always associated to freshwater areas, generally with dense vegetation and other types of aquatic birds. In Madeira and Porto Santo islands it can be seen alongside some freshwater streams, reservoirs and ponds. 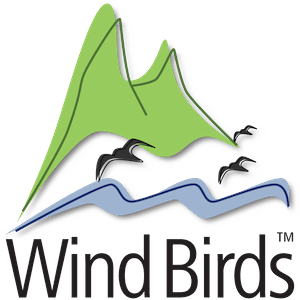 Breeding: It was first recorded breeding at Lugar de Baixo pond, Madeira, in April 1999 (Fagundes & Nunes, 2003) and later it started nesting in Porto Santo as well. Before that it was an occasional wintering bird to both islands. The bird builds its nest next to water, in a roofed basket covered with leaves and branches. 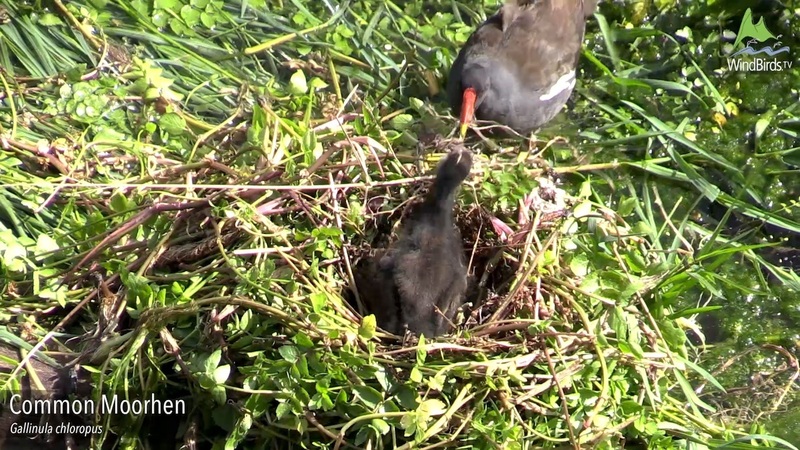 The Moorhen lays between 4 and 10 eggs at a time with 3 clutches being possible annually between April and August. The incubation period lasts for about 3 weeks and the chicks are relatively large when they hatch. Diet: It feeds on plants, roots, weeds, snails and insects.